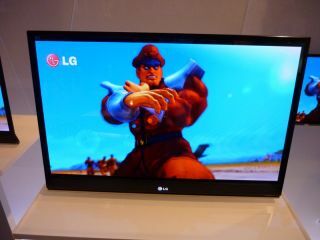 LG has announced that it will be bringing its 15-inch OLED TV to Europe in the near future. The Korean electronics firm is going to launch the EL9500 OLED panel TV into Austria first this May, as it seeks to push the nascent TV technology. Previously, the only OLED TV on sale was from Sony, the XEL-1, but this was only 11-inches big and cost nearly £3,000 in the UK. Sony has since withdrawn this model from the shelves in Japan, likely spreading to the rest of the world, meaning LG's EL9500 OLED TV will be the only one on the market. The new model will also 'only' cost €1,999 (£1,750) when it arrives, which might sound a lot for a TV that only has a 1366x768 pixel count. We've sadly not got a UK release date or price, but we're hoping that it won't be too long before this 15-inch TV is gracing our local Curry's. But inch-for-inch it's a lot cheaper than Sony's effort, and at 1.7mm thick, it may even provide enough wow factor when you try and explain to the other half why you spent so much on a new TV for the shed.